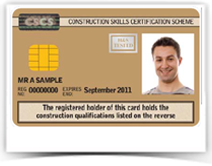 You can apply for the gold cscs cards, which indicates that you are a skilled worker. You must pass the constructions skills health and safety test to get the gold cscs card. The gold cscs card is for two occupations person’s skilled workers and supervisor. The eligible requirements for both the CSCS cards are different. Only experienced manager or skilled worker can apply for the supervisor gold cscs card. To get the skilled worker gold cscs card you need to achieve the NVQ or SVQ level 3 and it is mandatory to complete the apprenticeship or employer sponsored apprenticeship from the approved institute. To apply for the supervisor gold CSCS card the supervisor must have the experience of more than one year and construction skills as required. To get the cscs cards the supervisor or manager needs to clear the NVQ level 3.The CSCS introduce the profile route for the highly skilled supervisor.